Which Web Hosting Style is Best for You? If you have created a website and want to go live on the internet, there are multiple things that need to be considered. Web hosting has evolved into multiple forms of internet services. Internet hosting can be a confusing business depending on the level of knowledge that you have about visualization technology. Hosting has expanded and offers multiple types such as free hosting, shared hosting, dedicated hosting, and collocated hosting. There are many things to consider about your web hosting purchases but some of the core aspects are the amount of traffic you anticipate, the level of control you wish to have within the server as well as the functionality across platforms that you wish to be accessible from. Do you need something that provides administrative functions and management of servers of would you like to install those applications on your own? It is also important to consider the cost of the web hosting service and whether it is affordable to enable some extra features. It should be an educated decision when you purchase a subscription to a hosting service. There are a number of services available and it is valuable to choose the most suitable and affordable for you. 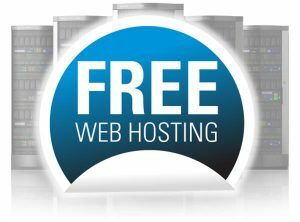 Free hosting may be a good choice if you are not worried about whether the connection speed is low for your visitors or the appearance of advertisements on your webpage. Some service providers will offer free hosting with the purchase of a domain name. This would be a great idea for private contractors, artists or photographers who wish to simply exhibit or advertise their services in an online forum. Shared hosting can be purchased for a significantly low fee and offers a service where multiple users share a single server. This is a great option for individuals who wish for the administrative and management services to be provided within the subscription. Shared hosting processes much of its information through the provider and can be a slower connection for some users. This would be a great method of hosting for businesses such as restaurants or stores to advertise and spread awareness. Dedicated hosting is one of the faster connections for your user as it provides your web hosting with its own server. It can also provide more accurate data based on your usage and can offer a higher level of security. This format of web hosting is more costly but is also more secure than free or shared web hosting and often used by larger operations. Dedicated hosting is often used by online stores where they can benefit from increased data about traffic and a required level of security for transactions. Collocated hosting is a type of hosting where a physical server is purchased and installed such as a virtual private server or VPS. This allows you full responsibility and use of the server. It functions completely isolated from any other network and can be individually rebooted and it is secured separately from the host provider. This is best used for large businesses who require a level of confidentiality within their online processes. It is important that you investigate all of your needs before purchasing a subscription package or physical server for your online operation. The hosting providers offer a range of services and promotions that could confuse someone if they did not know what they were looking for. Be sure to be aware of all your needs and capabilities before investing in a web hosting service as you will not want fall short of everything that you need to be successful and function at maximum capacity.